For those interested in the entertainment business, the classic question that emerges is, “New York or L.A.?” As a native New Yorker who started her career in Los Angeles, I do think that the answer varies for every individual, as these cities and the schools within them each offer different opportunities and demand different sacrifices (as with any place or profession for the most part). 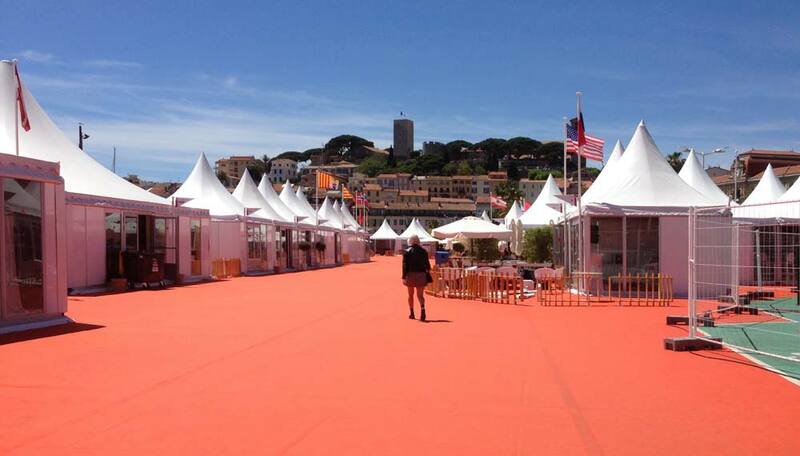 I admit that I have a personal bias towards New York, but when I was looking at which schools to apply to in both cities, I knew that nothing compared to what Stern offered–and what I’m experiencing now–in “The Commerce & Craft of Cinema: Cannes Film Festival” course. The 2016 Cannes Film Festival class. 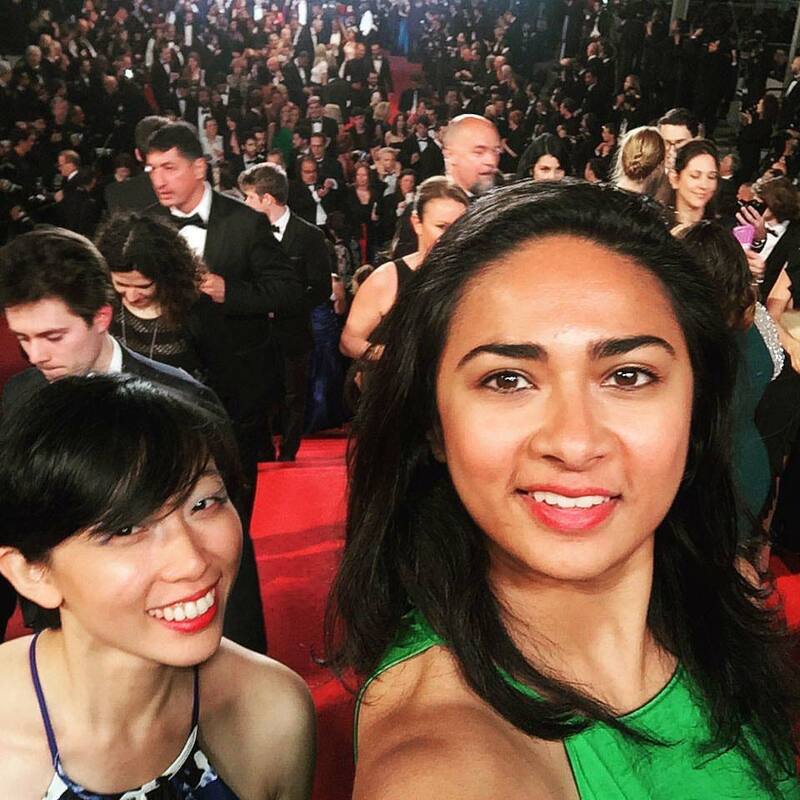 It’s been nonstop for my classmates and me since arriving in Cannes last weekend (I actually had to write this post as I was waiting for screenings to start!). 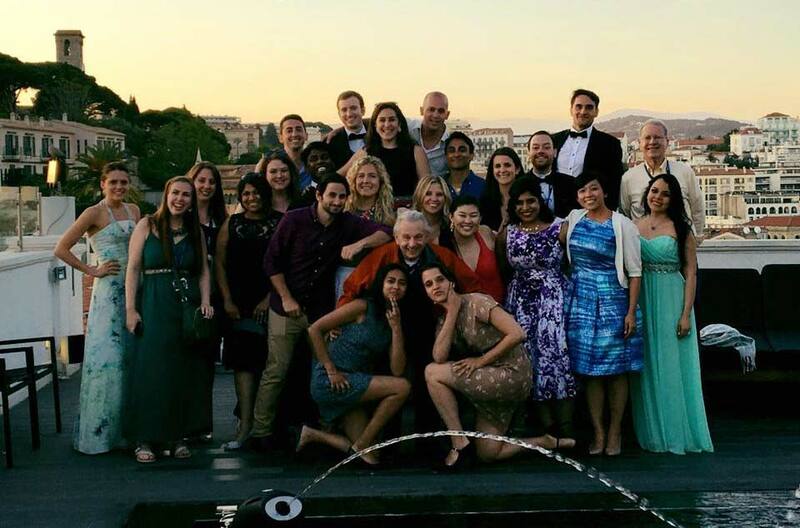 Led by the amiable Professors Al Lieberman and Sam Craig, my 25 classmates and I comprise the lucky 13th class to go to the annual Cannes Film Festival, the most prestigious film festival in the world. After receiving our official badges, we were free to take advantage of the festival however we felt best—binge-watching films, attending filmmaking panels, setting up meetings with producers and distributors. Even while standing in line for things, some of my classmates have met filmmakers, film executives, and film patrons (including the co-founder and creative director of a beloved L.A. indie theater). 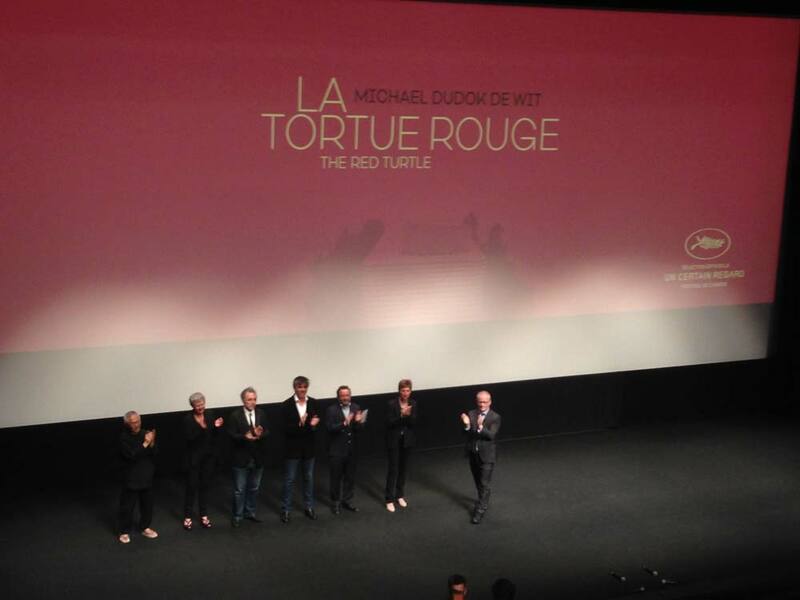 The premiere of “Un Certain Regard” film The Red Turtle, with revered producer Toshio Suzuki of famed Japanese animation studio Studio Ghibli on stage. The International Village with dozens of countries’ pavilions—good places to meet, regroup, eat, learn, and converse. The class concludes with a paper that challenges us to analyze one of the films in competition, specifically discussing how it compares to the other films in the festival, what the effect of the festival has been on the film’s distribution path, and where we think the film will go from this point forward. Prior to this, during the semester, my class was assigned group papers and projects designed to ensure that we were up-to-date with the current independent film landscape, and we were treated to guest speakers from the industry nearly every class. My personal favorite: the gracious Andrew Karpen, who happens to be a Stern alum, and who was co-CEO of Focus Features (Dallas Buyers Club, Atonement, Brokeback Mountain) before he started his own New York-based distribution company, Bleecker Street Media (Captain Fantastic, Eye in the Sky, Beasts of No Nation). As a longtime fan of Focus Features, meeting Andrew was a career dream come true and something that seemed like a longshot before I arrived at Stern and before our first Cannes class meeting, when I was surprised with the news that he was one of the class’s perennial speakers. 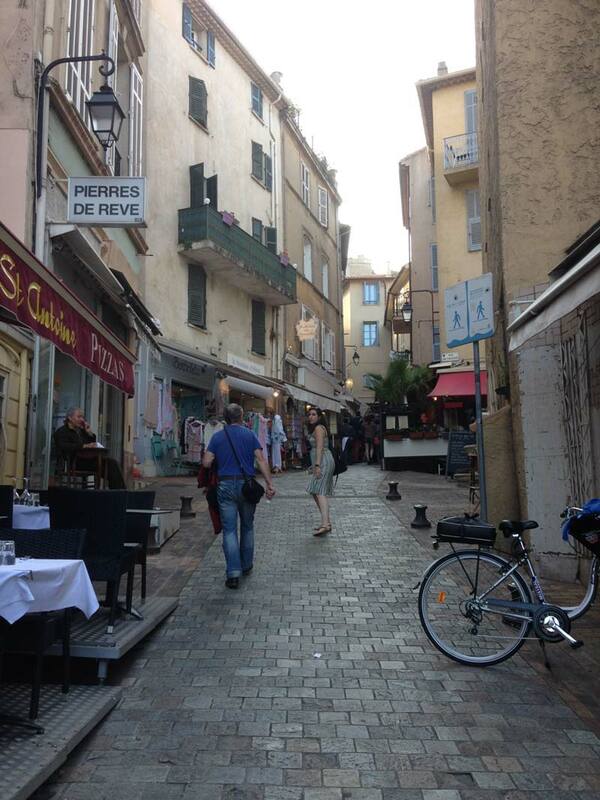 On our way to group dinners with the professors in Le Suquet, the Old Town of Cannes. For my classmates and me, who are either coming from the entertainment industry or hoping to enter it, this entire experience has been invaluable and truly one-of-a-kind. With a one-essay application process that requires only a demonstrated interest in the industry, there are both full-time and part-time students in our class, as well as MBA/MFAs and JD/MBAs. The result is a nice mix of people who have been a pleasure to get to know or know better. And getting on the red carpet with friends definitely serves as great inspiration for future career goals, goals that with my fellow Sternies beside me I believe are very possible.